Bhubaneswar is the capital city of Orissa. Over the years, Bhubaneswar has been known by different names, the most ntoable ones being Toshali, Kalinga Nagari, and Ekamra Kanan. During the second century BC, the infamous Kalinga War took place near the city. A century later, Emperor Kharavela established his capital in Sisupalgarh at the outskirts of present day Bhubaneshwar. Owing to the burgeoning population and space constraints, the Government decided to shift the state capital from Cuttack. And Bhubaneshwar was born. The city was designed by German architect Otto Königsberger. Today, it is one of the cleanest cities in the country. It is an important tourist and religious centre. Along with Puri and Konark, Bhubaneswar forms the 'Swarna Tribhuja' or the Golden Triangle of tourist destinations in East India. It is also an emerging IT and educational hub. Its economy is dependant on large Public Sector Units, retail and small scale manufacturing. 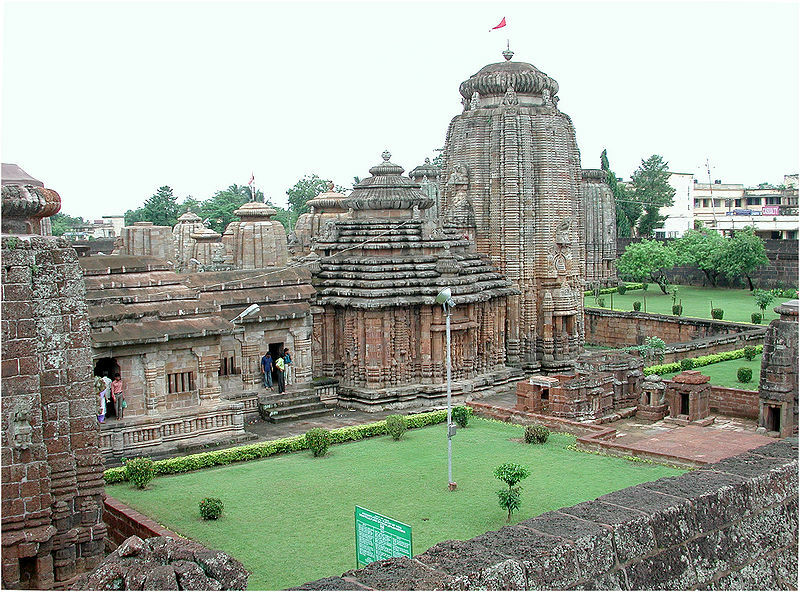 Bhubaneshwar is famous for the Classical dance form Odissi, handicrafts, sand artistry, sculpturing as well as theatre and music. On your visit, remember to visit Ekamra Haat to pick lovely handicrafts as souvenirs for friends and family back home! Also, tuck into its seafood and sweets. The locals speak Oriya and Hindi though English is understood by the majority. The best time to pay a visit would be October. The city has a tropical wet and dry climate. The average temperatures range between a minimum of around 10 °C in the winter to a maximum of 40 °C to 45 °C in summer. Khandagiri & Udayagiri Hills - Located 8 kms away from Bhubaneswar, these twin hills are the site of an ancient Jain monastery. There are cave like chambers carved in the hill. Each cave contains artistic carvings dating back to the 2nd century. The most popular ones are Rani Gumpha (Queen's Cave) and Hati Gumpha (Elephant Cave). 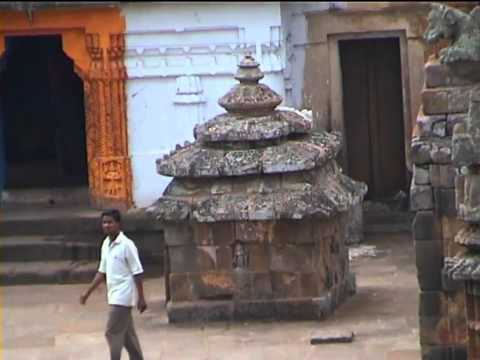 Lingaraja Temple – This tenth century temple is dedicated to Lord Shiva. It is one of the finest examples of Hindu temples in India. The 55 metre high Lingaraja temple is covered with carvings and is a sight to behold. 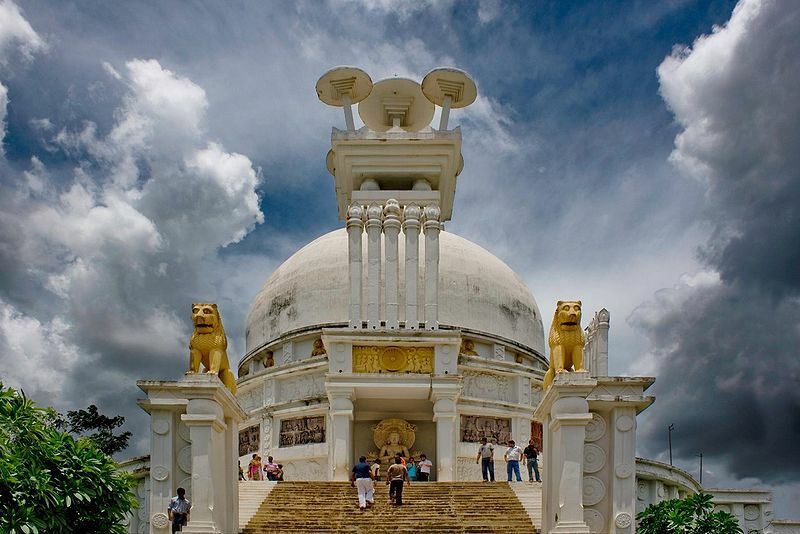 Dhauli - Situated 8 kms away from Bhubaneswar, this is where the gruesome Kalinga war too place. It was here that remorseful King Ashoka renounced violence and embraced Buddhism. Ashoka erected an edict here warning his subjects against revolt.